Sporty a dog from Chicago walks himself. 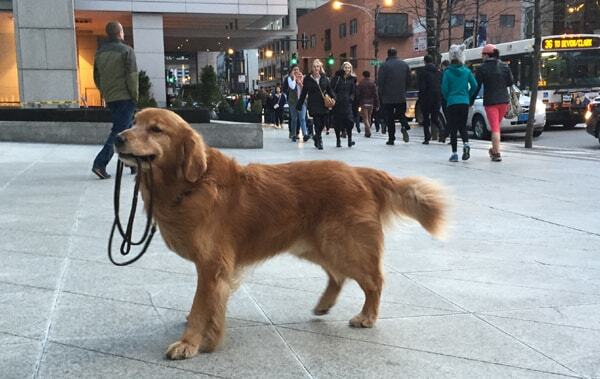 Sporty has no use for the city “leash laws”. But is he breaking any of the leash laws anyway? Sporty is a regular walking around downtown Chicago. He has his regular fans they he loves to visit but he loves to put smiles on the faces of grumpy daily work commuters. Watch the two videos below to see Sporty walking himself. How did Sporty start walking himself? An epic adventure set in the last Ice Age, ALPHA tells a fascinating, visually stunning story that shines a light on the origins of man's best friend. Watch the ALPHA Official Trailers on Ripley.